Well, that's it folks! The last recipe has been completed. The ovens have been turned off, the mixers put away, and the dishes are clean. Our trusty cookbooks are stowed on the shelf for the first time. However, although we've finished our project, that doesn't mean it's over. If you make anything from the book, please email us with your results and we'll publish it on the blog. We'll be keeping up with new submissions and updating the posts, so keep baking!!! We started this project with our first recipe and blog post on December 7, 2012! That's 88 weeks total. There is a total of 124 recipes in this book. That's not including the Basics in the back of the book, of which there are 22. For some recipes, you have to make 2 or 3 other recipes first. We also split up some of the recipes that were just flavor variations of the same basic technique, such as the scones and muffins. 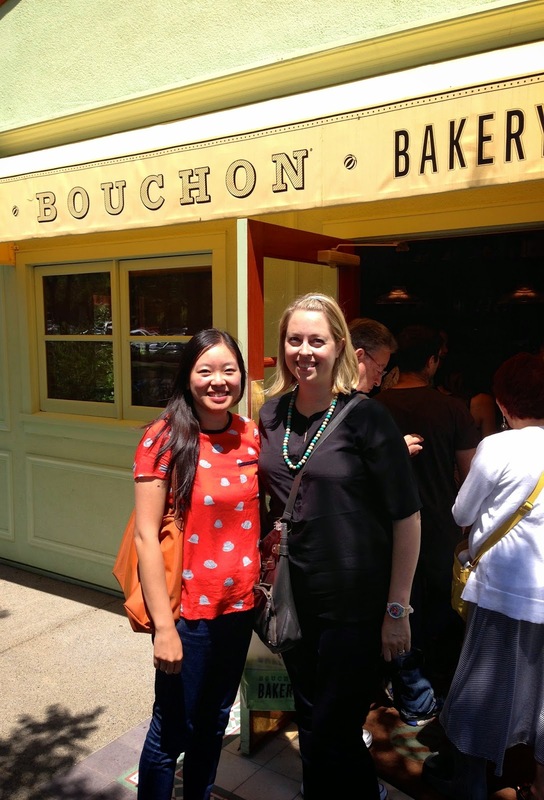 To commemorate this momentous occasion, we arranged another trip to the bakery in Yountville. This time, we walked in with confidence, heads held high, like, I got this. Pretty much everything in the display cases, we have made. That's quite a feat! 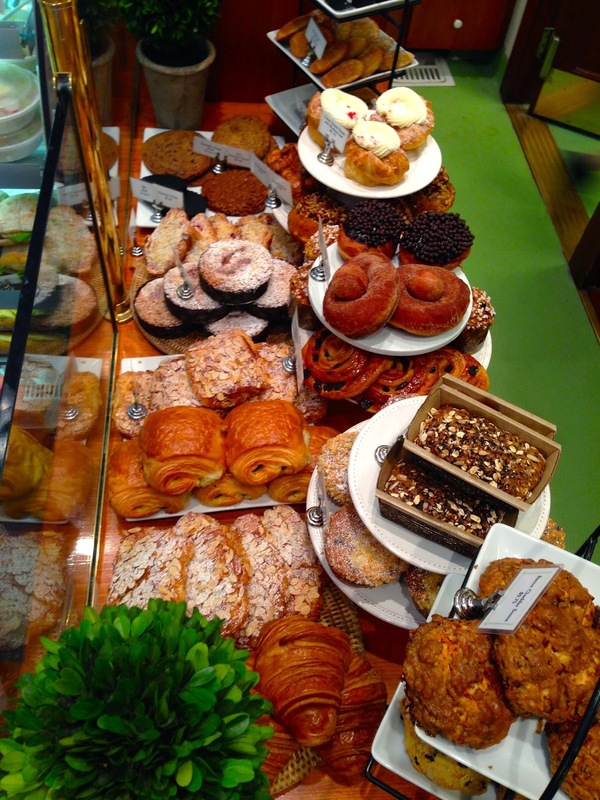 It's always overwhelming to decide what to get, and the bakery was pretty busy, adding to the rushed feeling. While everything looked amazing, we wanted to focus on pastries that were in the book, so we could compare our versions with the real thing. While we were enjoying our delicious treats, we discussed our favorite recipes from the book. Here's what we settled on. 1. Cream Puffs - The "cookie" that goes on top reminds me of Dutch Crunch. I love the texture and taste. I also like that it keeps the cream puff perfectly rounded. The one thing I learned when making this recipe is that the puffs can be frozen before baking. I've always frozen them after which resulted in squashed puffs. If you have frozen unbaked puffs, you can just pop them into the oven whenever you need them and they're fresh and delicious! 2. Lemon Meringue Tarts - this is the signature tart you can always count on being in the pastry case at Bouchon Bakery. I absolutely love the presentation with the wispy toasty meringue top. I will always remember the secret trick of putting a thin layer of cake between the lemon curd and meringue as a moisture barrier. 3. Pistachio Madeleines - The book has a recipe for traditional madeleines but these were my favorite. They are the most moist (say that three times fast) madeleines I've ever had. The extra flavor from the pistachio paste really sets this recipe apart. The madeleines also had the signature bump so it was definitely a success. My favorite recipe.... hard to pick just one! 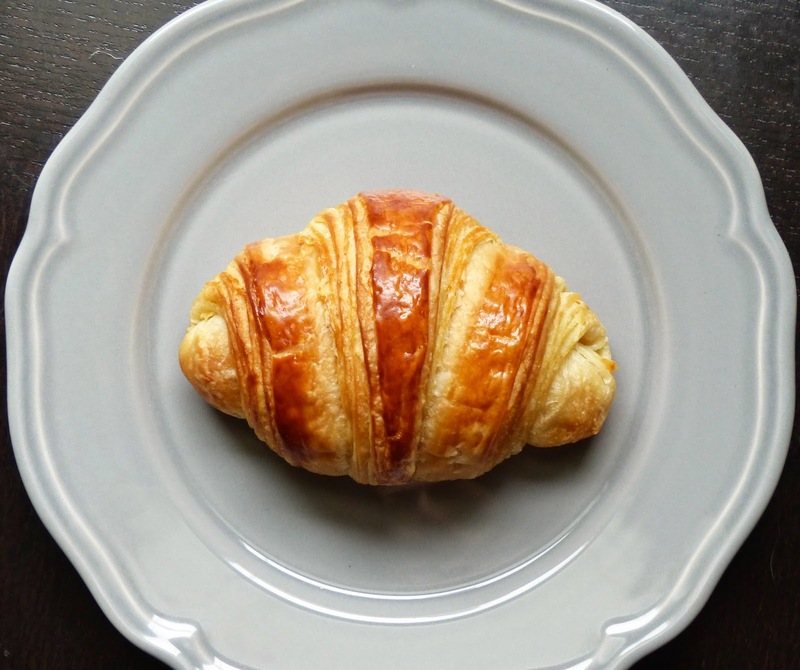 The recipe I've made the most, is the croissant recipe. I think my croissants are better than the ones at Bouchon! They're more buttery, and eating one fresh out of the oven is simply the best thing ever. I've had a lot of croissants before and after making these, and haven't found one to compete yet. I guess a trip to Paris will solve that! 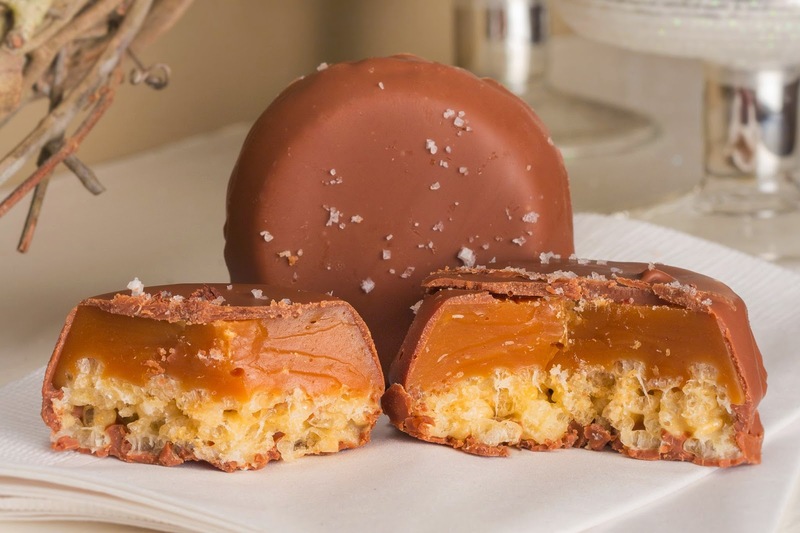 I think the most challenging recipes were in the Confections chapter. I learned a lot of new techniques and had to find some obscure ingredients and equipment. I still haven't mastered tempering chocolate. It was a lot of work, but I learned a lot too. 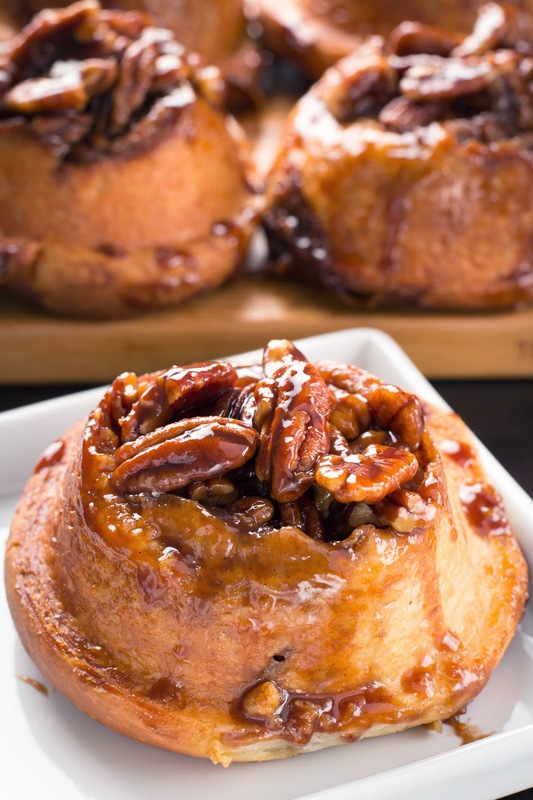 My favorite photo from this whole experience has to be the sticky buns picture that my friend Nick took. The buns were delicious, but sometimes it's difficult to capture that in a photograph. This one does it. I can look at it all day! 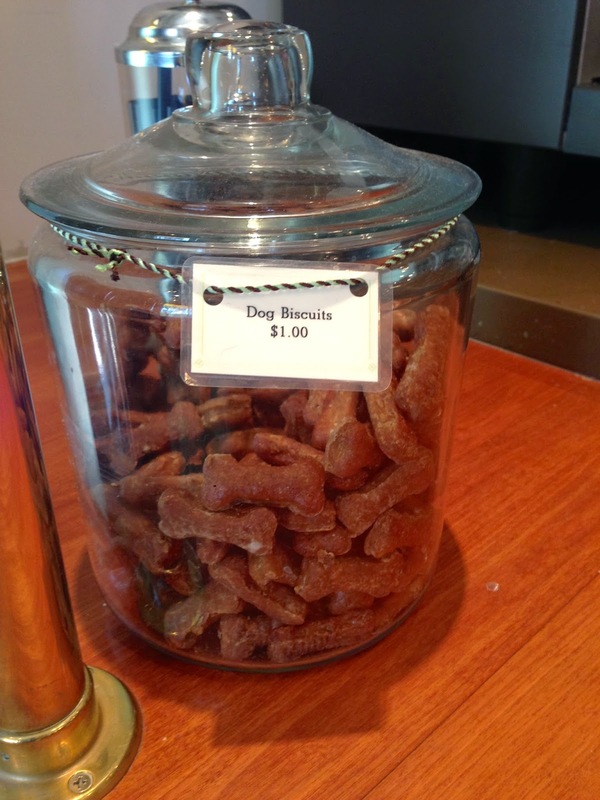 I'll admit, there's only one recipe in the entire book I didn't make: dog treats. I don't have a dog and I didn't like the idea of using chicken livers, so I skipped that one. Other than that, I made everything, even scheduling recipes ahead of time when I was out of town. I'm quite proud of this accomplishment, and when we went to Bouchon bakery this weekend, I wanted to throw open the doors and exclaim "I made everything here!!!!" But I didn't. 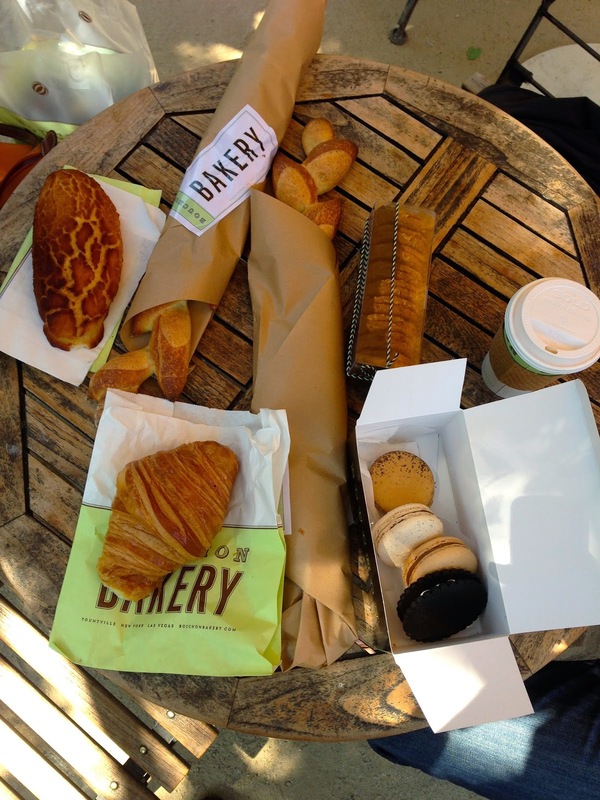 Instead I bought a few of my favorite things: a croissant, TKO, macarons, and epi baguette. I ate that whole epi by myself later that day. So good! Bread is the one thing I think is impossible to perfectly replicate at home, without a stem-injected oven. So I will always buy bread when I go to Bouchon. Overall, this experience has been amazing. I knew when the book came out that I'd love it, and it was fun challenging myself to create all these amazing treats. I learned a lot, tried things I've never done before, and have a much better grasp of pastry making than before. I feel confident I could bake anything from anywhere. My only regret is that our entire group didn't stick with the project the whole way through, no matter how much I reminded and encouraged them. I'm sure they would have found it just as rewarding as I did. I now have an arsenal of amazing recipes at my disposal anytime, and the knowledge and confidence to make them. Every time I see the cookbook in a store, I'll smile. It will remain one of my most treasured possessions, especially if I could get Thomas Keller to sign it! The time has come. We are finally at the last recipe. Every cookie has been baked, every tart assembled, and every croissant devoured. 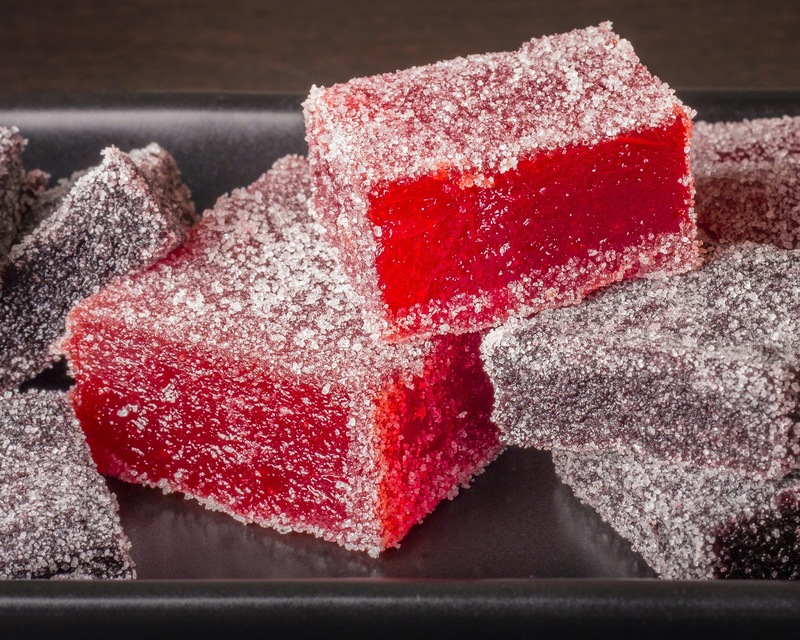 As last recipes go, this one is a cake walk, pardon the pun. Is it ironic that this is a gluten-free recipe, since we've used so much flour during this project? 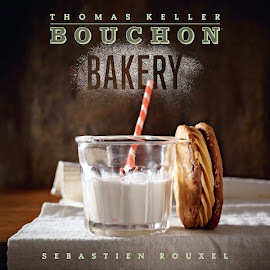 Instead of flour, we are using Cup4Cup, the gluten-free blend made by Thomas Keller, and developed by Lena Kwak of the French Laundry. It does just as its name suggests, substitutes for wheat flour cup for cup. They've already created the perfect blend of flours and starches to mimic the effects of wheat flour in most baked goods. If you didn't know it was gluten-free, you'd never guess. These rolls are great for any dinner, be it Sunday night with your family, a dinner party with friends, or for the holidays too. 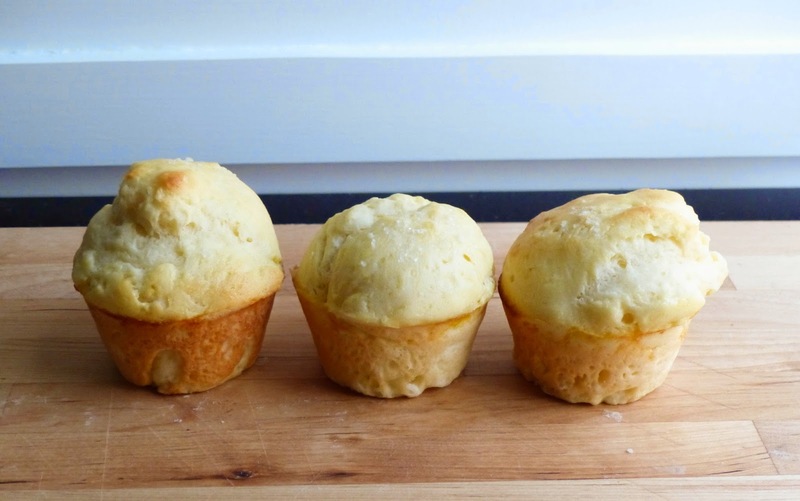 They're light and fluffy and buttery, perfect for accompanying any meal. 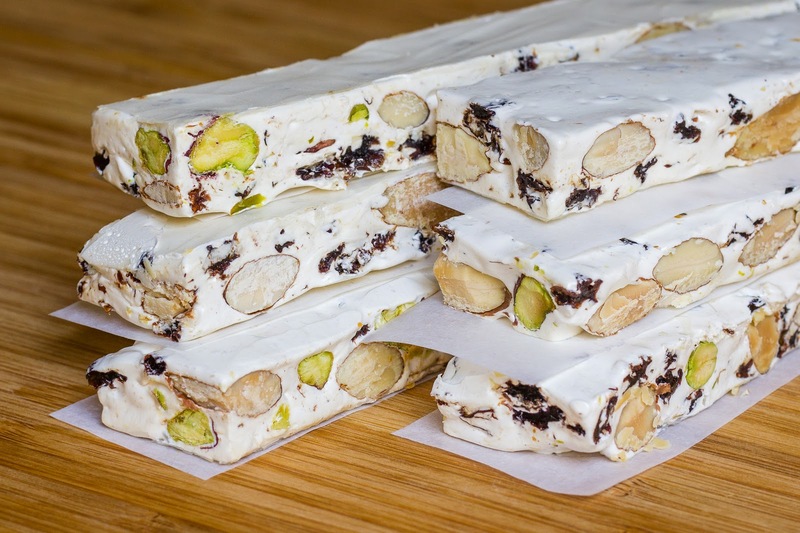 You can easily whip up a batch one day and freeze them for later, then pop them in the oven just before you need them. All in all, a great ending to a great chapter, and a great book. © 2012-2013 Jenn Yee. Simple theme. Powered by Blogger.